Good move, I hope this checklist helps you a lot. Is your website performing as well as you'd like in online marketing ? 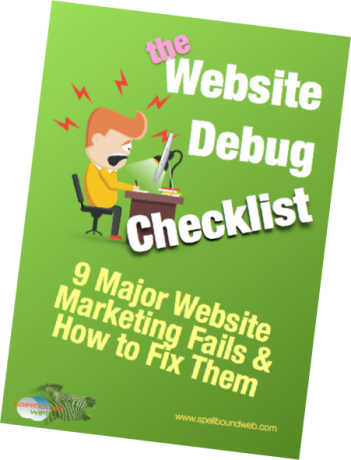 This is a checklist with solutions for 9 of the biggest failings I've found when debugging my client's websites ( I've been in web development and marketing since 2003 ). — it's info that can help you make your website 2X more effective by locating the weak points so that you can quickly handle them. And that makes the whole process of debugging your site much easier. Each point has instructions so you can easily start correcting them. how to fix these 9 major website marketing fails with instructions on how to implement the solutions. How Do You Use a Debug Checklist ? Read down a list of possible points that may be a bug and compare each point to what you have in place. If you find that one of the points is "out" with your website, then read the solution and correct it. 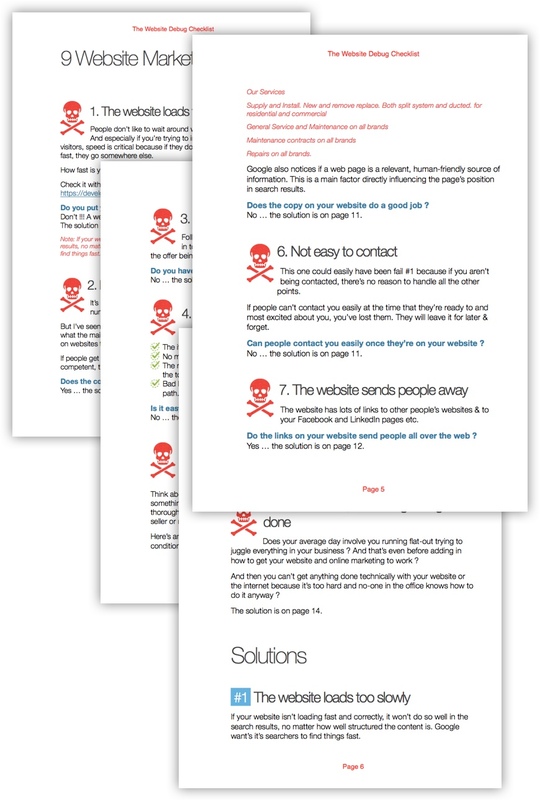 Learn what the major things are that stop a website in it’s tracks and make it less effective. Learn the solution to each of these barriers or stops and how to implement the solution.